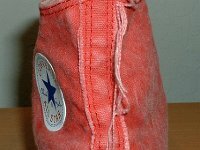 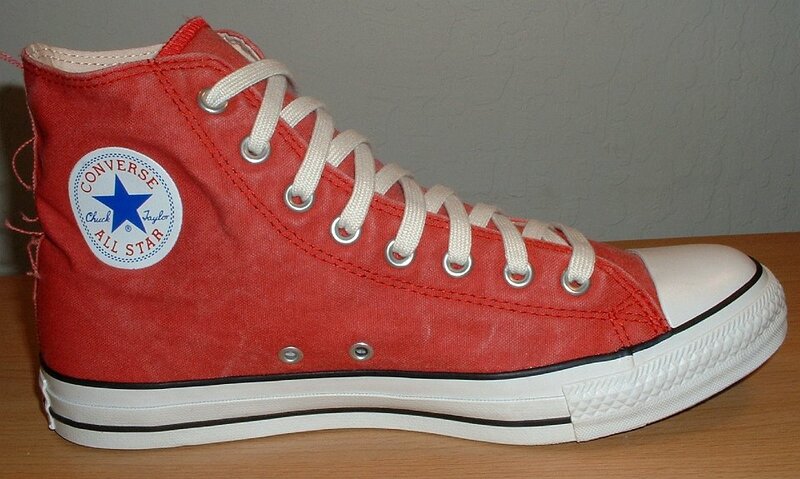 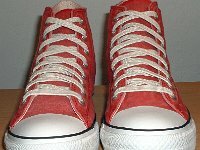 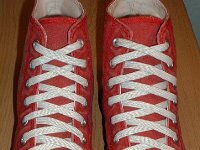 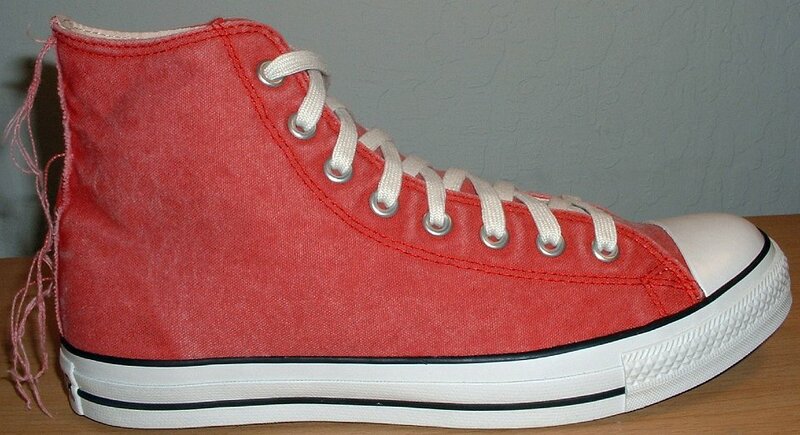 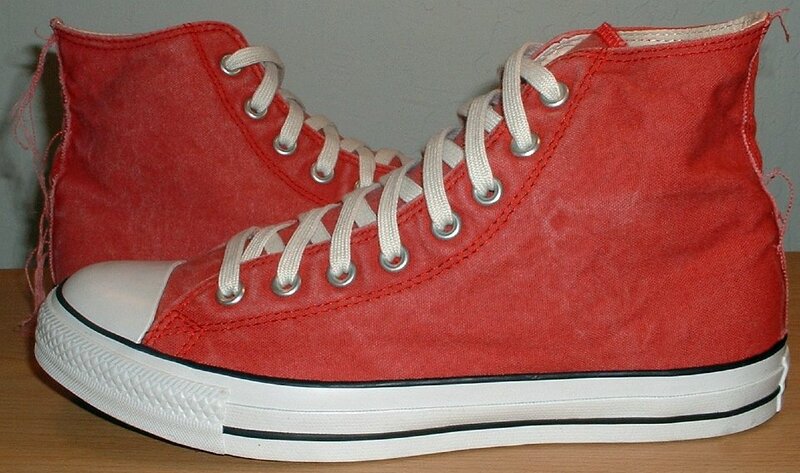 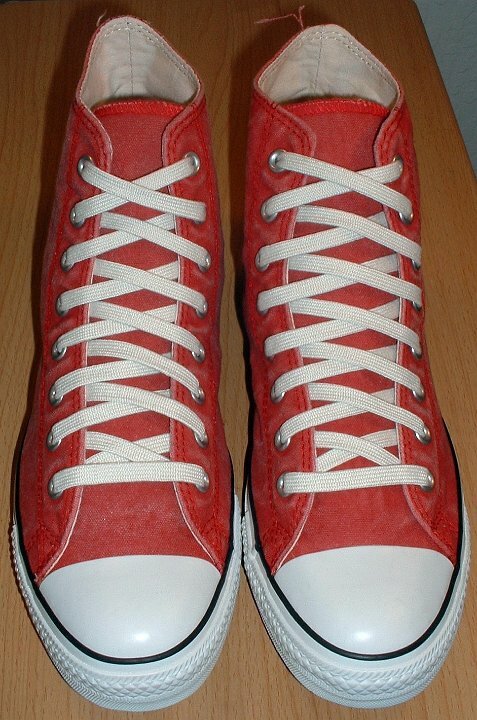 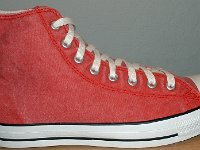 Photo gallery of a new pair of red distressed high top chucks. 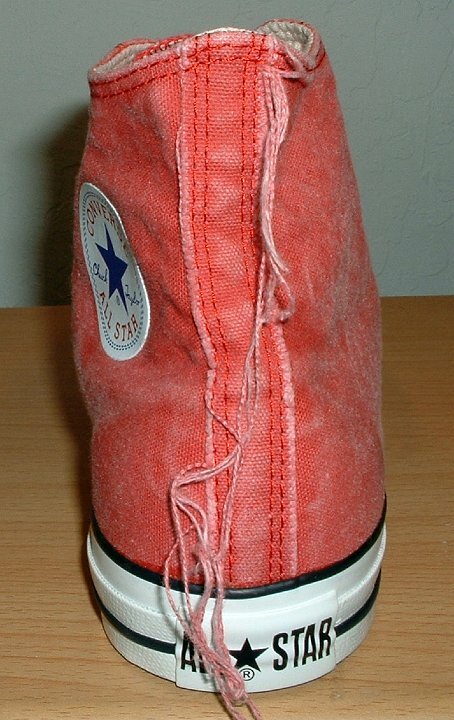 1 Distressed Red High Top Chucks Distressed red left high top, inside patch view. 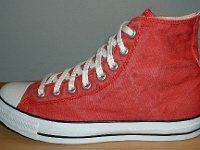 2 Distressed Red High Top Chucks Distressed red left high top, outside view. 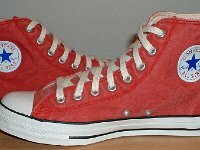 3 Distressed Red High Top Chucks Distressed red right high top, outside view. 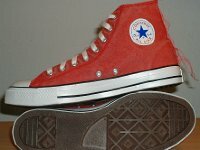 4 Distressed Red High Top Chucks Distressed red righ high top, inside patch view. 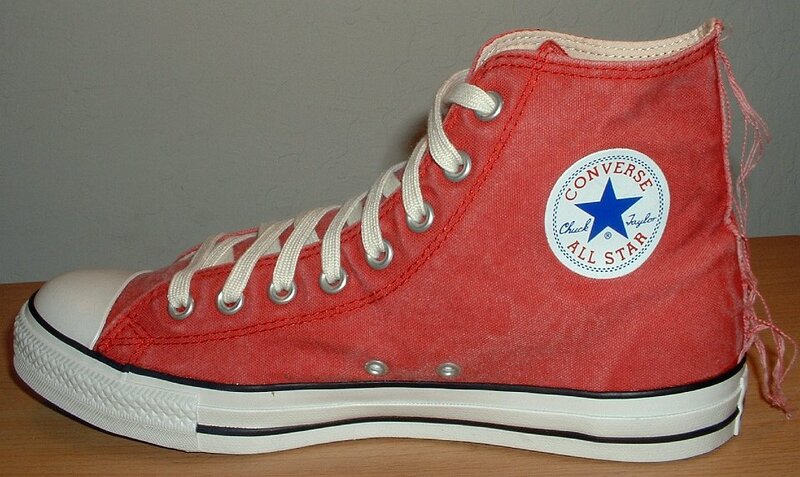 5 Distressed Red High Top Chucks Distressed red right high top, rear view. 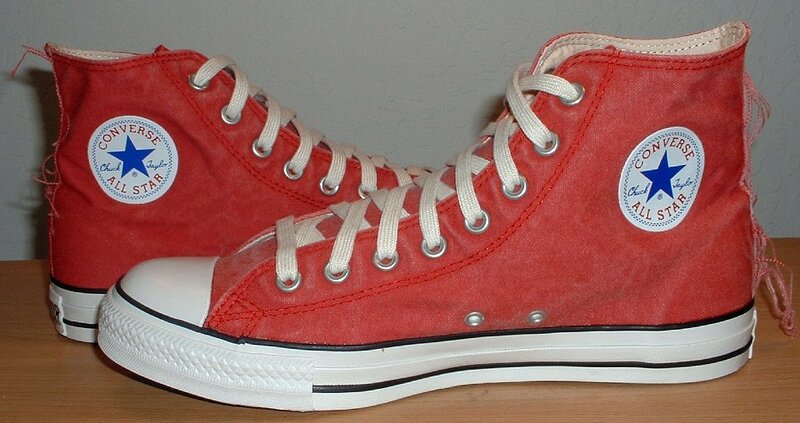 6 Distressed Red High Top Chucks Distressed red high tops, top view. 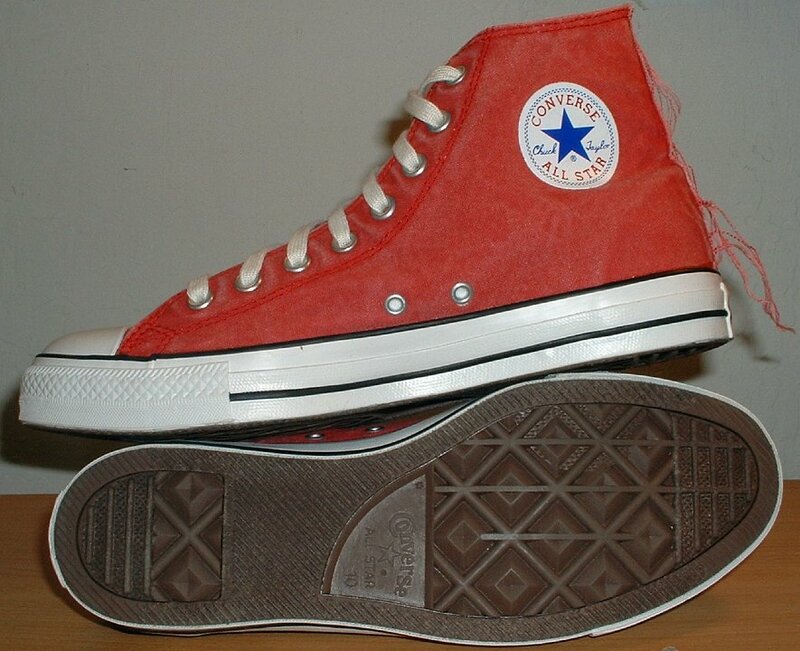 8 Distressed Red High Top Chucks Rear view of distressed red high tops, showing dangling threads are rear patch. 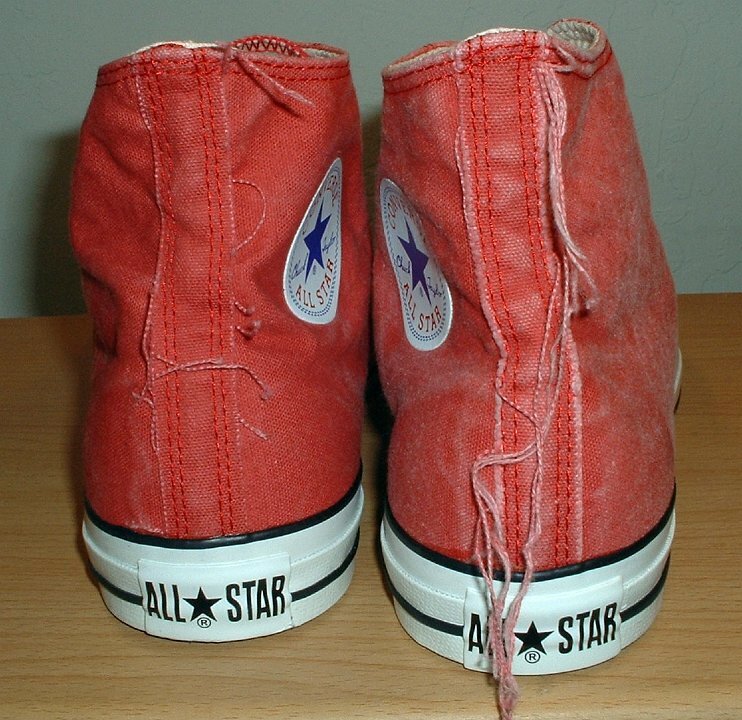 9 Distressed Red High Top Chucks Distressed red high tops, inside patch view. 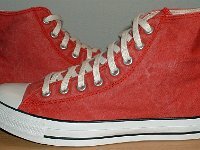 10 Distressed Red High Top Chucks Distressed red high tops, outside view. 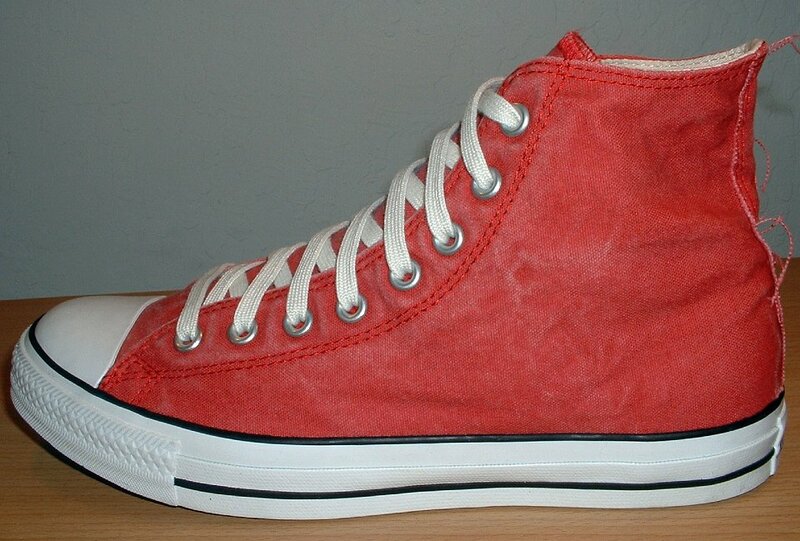 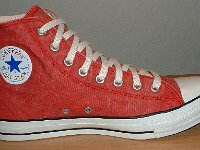 11 Distressed Red High Top Chucks Distressed red high tops, outer sole and inside patch views. 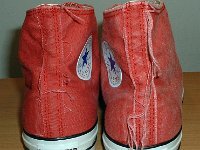 Distressed red high top chucks have faded suede uppers with matching stitching and loose thread ends at the ankle support. 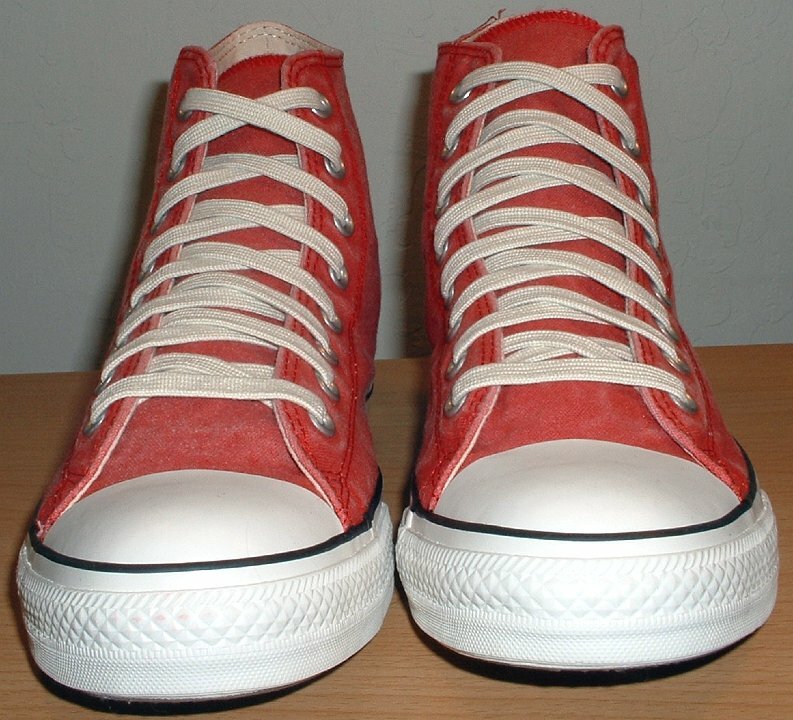 They come with special classic laces featuring Chuck Taylor aglets.